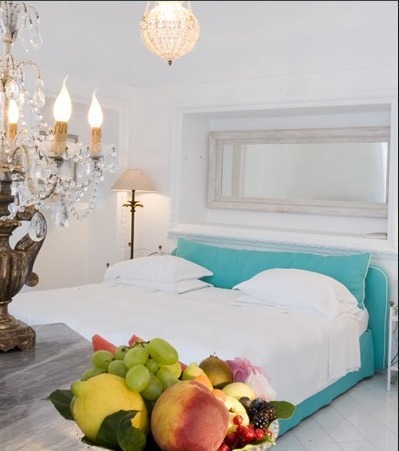 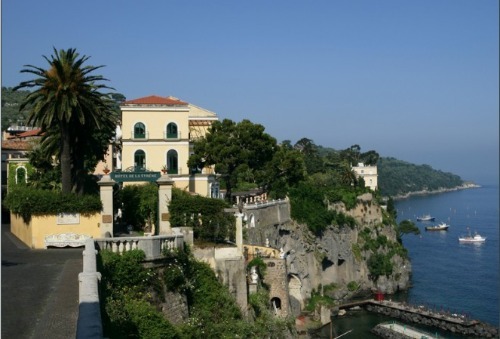 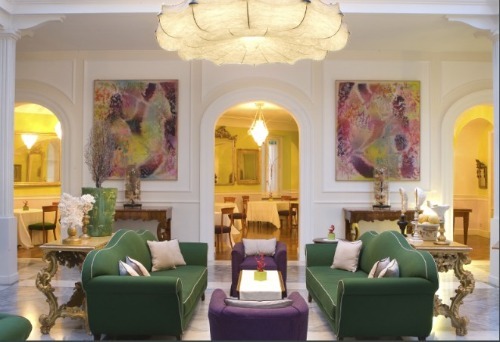 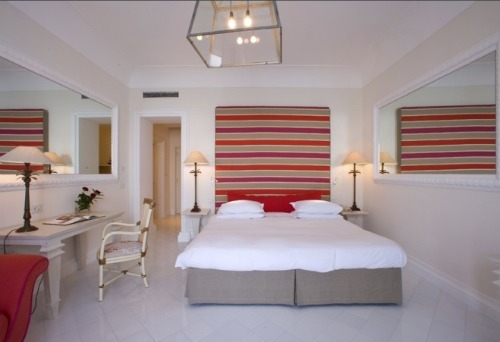 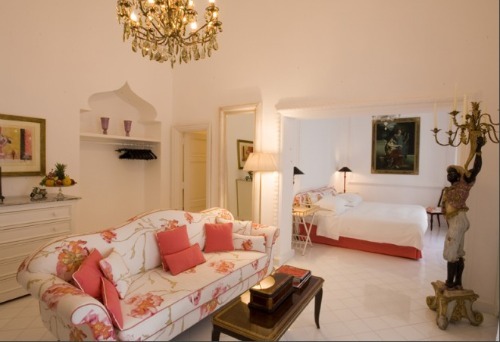 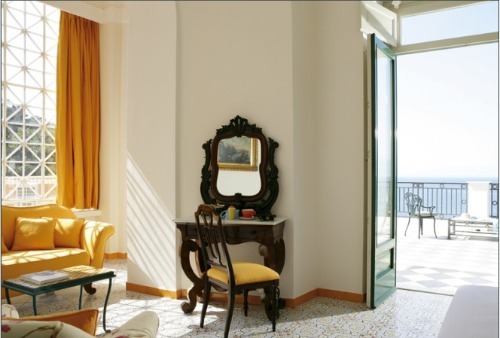 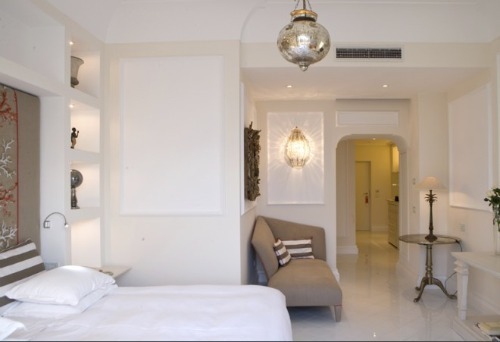 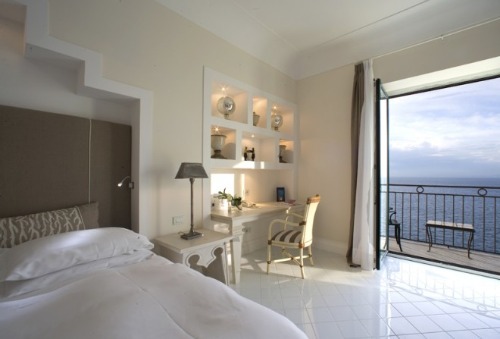 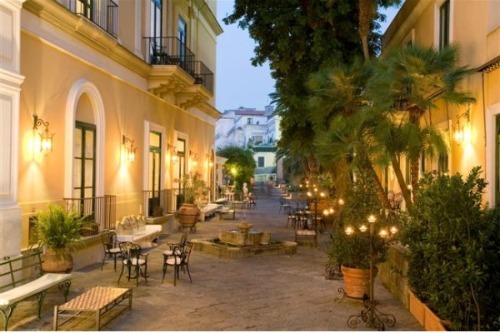 If you happen to find yourself traveling along the Amalfi Coast consider staying at the gorgeous Bellevue Syrene. 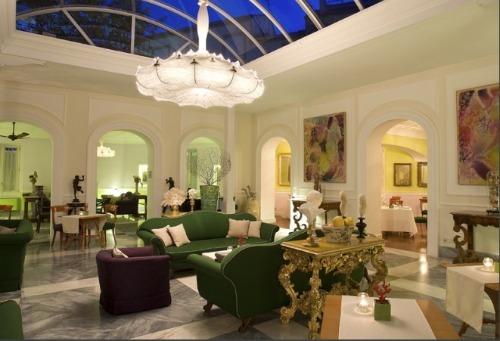 I actually stayed there eleven years ago when my grandmother took one of my cousins and me on a tour around Italy. 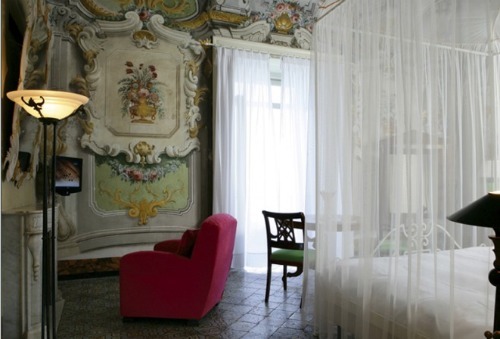 Fortunately for everyone the interior decor has been updated since I stayed there. 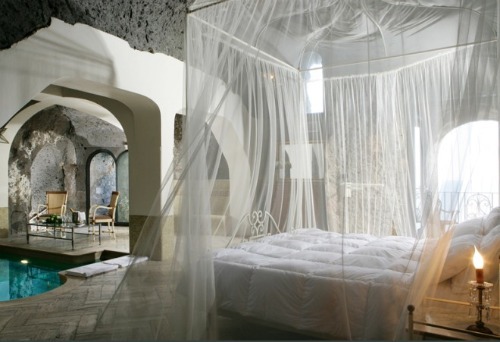 I have to say the new decor is exponentially better and I would love the opportunity to stay there again some day. 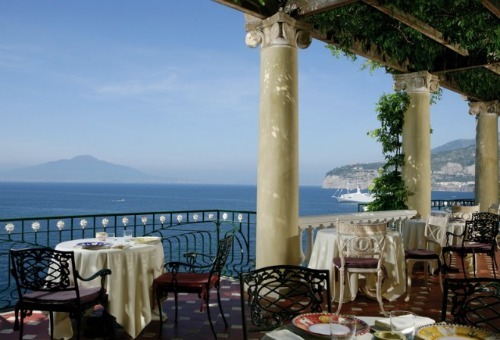 Rebuilt on the foundations of a Roman Villa and reopened as a hotel in 1820, the villa has hosted illustrious society members and European royalty. 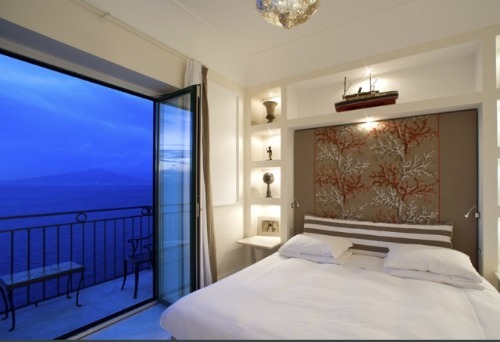 And the view, it's simply phenomenal. 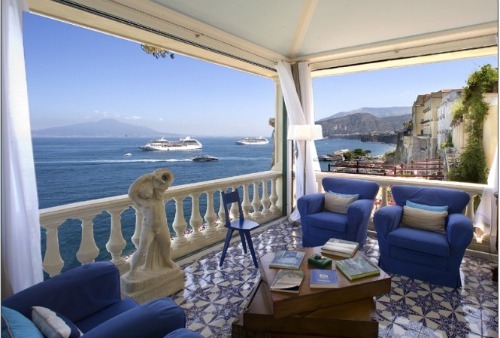 Who would want to sit on private balconies and listen to the siren song of waves crashing on the cliffs below? 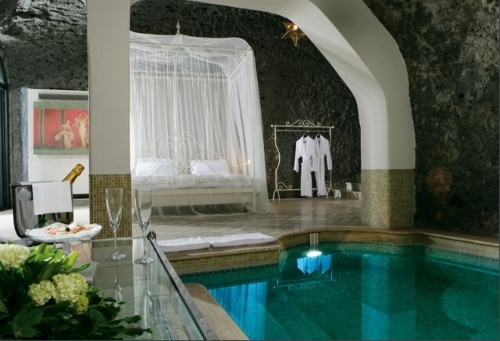 Love that they kept the old Roman grottos and made them into fabulously romantic suites.